The answer to this question is: not necessarily. 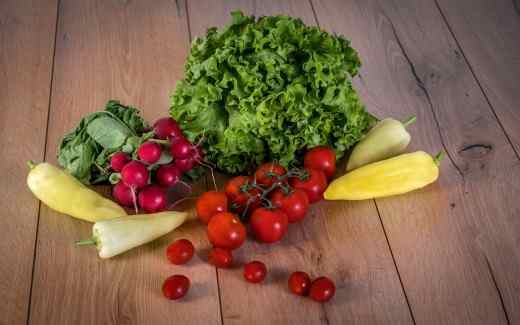 It might surprise those of you who are used to digging over your vegetable allotment religiously every year (probably dreading this backbreaking chore coming round again) to know that depending on the type of soil you are working with, you might well be able to avoid the whole task almost totally. In order to ensure success in your garden, your aim should be to improve the quality and condition of your soil so that the resulting soil structure will allow air and water to travel down to the roots of your plants. Adding organic matter to your soil is the best way to achieve this and mimics what nature does naturally in places such as woodland, where the falling leaves rot down over time before gradually binding together with the mineral materials that result from worn down rock particles. It is a combination of many factors such as rain, soil organisms, worms etc that facilitate this process, resulting in an open structured, free draining soil that also has enough organic matter to hold on to moisture and provide nutrients to the plants that are growing within it. The main problem with the soil in our gardens is that we walk on it. No matter how petite the gardener they will inevitably compress the soil as they walk over it, therefore the no dig option is a great way to avoid the problem. If you are starting a new vegetable plot and the land you have to work with was previously uncultivated e.g. perhaps covered with grass or weeds or even used as a flower bed, then it will definitely be improved by being dug over. Adding any available organic matter is essential if you want to ensure a good quality soil structure for your efforts. Keep in mind though that if you continue to cultivate and dig that soil year after year, you will eventually cause the soil structure to degrade. Each time you dig a bed over you add more air into the soil, and this in turn causes the organic matter it contains to break down more rapidly than if the earth had been left undisturbed. Assuming you have managed to get your soil into good condition it should maintain its good structure if you avoid any footfall over the surface. You should only need to dig it again if you are planning on growing a ‘hungry’ crop such as runner beans or potatoes and you wish to add in further nutrients in the form of a top up of organic matter. For the normal vegetable crops you will save a whole lot of time and effort if you choose a digging free method in subsequent seasons. If you have chosen to dig your vegetable allotment it is important to dig at the correct time. This can be determined by your soil type. 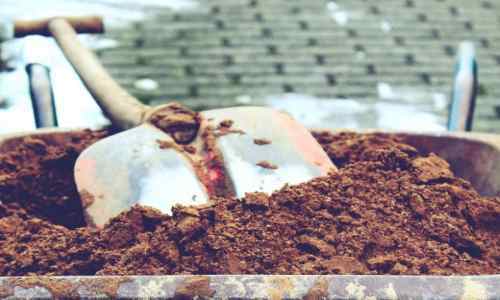 Because of the stickiness of clay soil it is far better to dig it over in the autumn, preferably before it becomes too waterlogged by the rainy season. This means that during the winter months the weather can break it down as the alternate wetting and drying or freezing and thawing leaves you with a wonderful, crumbly, fine tilth by the time the spring planting season arrives. A sandy soil should not be dug over in the autumn because the winter rain will rapidly drain through it, causing the organic matter to to break down. As the organic matter reduces the soil can no longer maintain its structure and the rains will wash away the valuable nutrients. For these reasons it is best to leave digging a sandy soil until the spring. If your soil is somewhere between clay and sandy then you can choose to dig either in autumn or early spring. 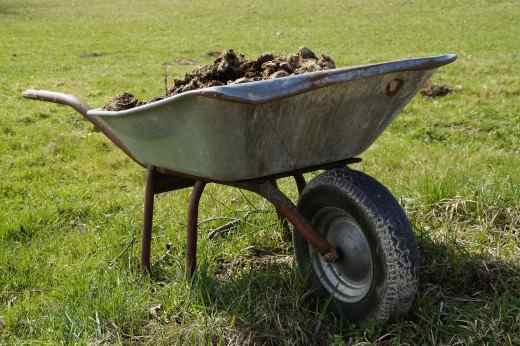 It might surprise you to know that many gardeners rarely, if ever, dig their vegetable allotments. Successful crops can easily be achieved by simply mimicking nature and how she develops a good quality soil structure. Firstly you should remember that even the lightest footfall on soil compacts it and breaks down the structure you are aiming to achieve. To prevent this compaction it is vital to avoid walking on the soil surface unless you absolutely have to and in this instance use a plank of wood to spread your weight. Instead of having one large vegetable patch, break it up into a series of long narrow beds approximately 1.2 metres wide, so allowing you to reach 60cm from each side of the bed. If you are a tall gardener you might be able to make the beds slightly wider. If you are working with a normal garden soil you can first fork it over lightly to remove any stones or perennial weeds such as dock, creeping buttercup, dandelions etc. If the soil is a heavy clay or very impacted soil it should be dug over in the first year to open up the structure prior to implementing the No-Dig system. If you are working with really poor quality soil or extremely heavy clay you might be better off building some shallow raised beds and filling them with an equal combination of organic matter and good quality topsoil. Every year try to add an absolute minimum of 5cm of well rotted organic matter to the surface e.g. seaweed, well rotted farmyard manure (preferably cow manure as horse manure is inclined to contain a lot of weed seeds), spent multi-purpose compost, garden compost, spent mushroom compost, leaf mould etc. No need to worry about forking it in, the worms will do the work for you. Make sure these beds have paths all the way around them that are wide enough to allow you access in order to sow, weed, mulch, harvest etc. I hope you found this article helpful and that it has helped you to decide if the dig or no-dig method is likely to suit you best. From my own point of view I am a complete convert to the no-dig method, and to date the quality of my vegetables has improved as a result (including many wins in competitions at local level).